South America., the fourth largest continent in the world and home to a total of 12 countries, is famous for so many incredible things, from its awe-inspiring natural landmarks such as the Amazon River, Atacama Desert and Andes Mountains to the ancient civilization of Machu Picchu and the cultural hotspots of Buenos Aires with the tango, Brazil’s samba, Colombia’s salsa. 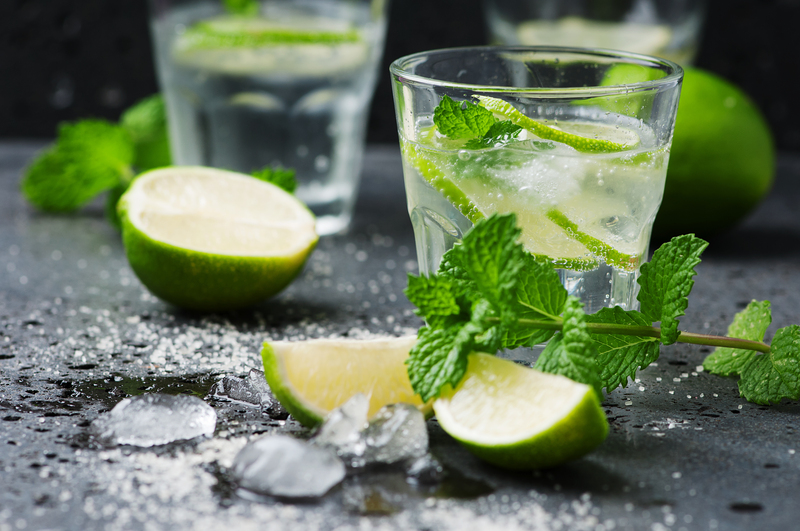 One thing we feel doesn’t get talked about enough however is the extensive range of alcoholic drinks this wonderful continent has to offer, because as we all know, South Americans love to party. In the interest of time we are sticking to cocktails and have narrowed it down to our top 5. A list of South American cocktails simply isn’t complete without mentioning this classic Brazilian cocktail. Its main ingredient is Cahaça [pronounced Ca-SHA-sa], a white spirit distilled from sugarcane very similar to rum. It comes in clear and golden variations and is the Brazilian national tipple. This 40 percent alcohol is very fiery on its own, but when combined with crushed limes, sugar and ice, it creates a mouth-wateringly flavourful cocktail that encapsulates the flavour of Brazil. The drink was invented in the early 20th Century, with the original recipe featuring garlic and honey to cure the Spanish Flu. Fortunately for us, these ingredients were removed and this cocktail has become more and more popular worldwide, so you can get a taste of Brazil wherever you are in the world. Squeeze the limes into a glass and leave the remnants in. Add the sugar, cachaça and plenty of ice. Garnish with a slice of lime. 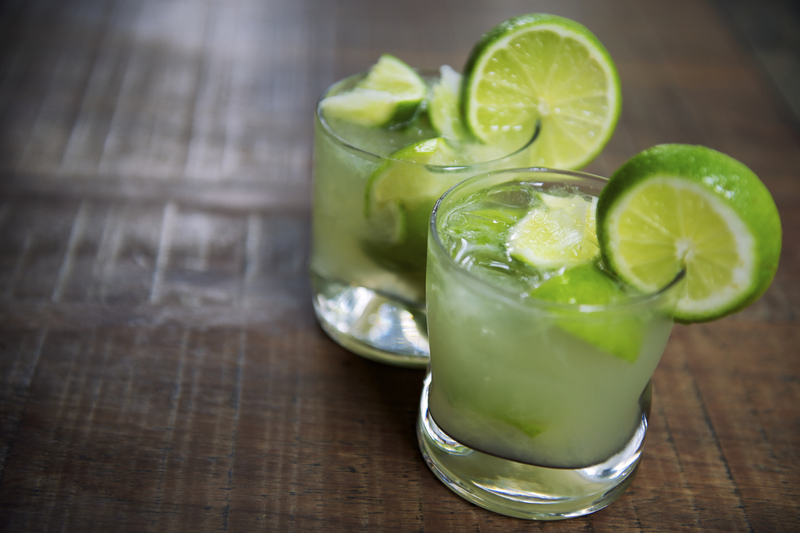 The Caiprinha is the traditional cocktail of Brazil. Quite possibly the most famous of all the cocktails, this refreshing drink originated in Cuba. When the famous Sir Francis Drake, English sea captain and privateer of the Elizabethan era, arrived in Havana in 1586 his crewmen were all suffering from scurvy. The natives of Cuba gave them medicine consisting of mint, lemon, sugar cane juice and (of course) rum, curing the crew completely! The cocktail is now of course used more for pleasure than for its medicinal qualities and became a favourite of the famous writer Ernest Hemmingway during his time in Cuba. How would we describe this cocktail? In our very best English… Minty, Limey, tangy and tasty. In a smallish glass, muddle limes & juice with the sugar. Add the mint leaves, mushing them against the side of the glass. Fill glass 2/3 with cracked ice and pour in the rum. Pitch in the squeezed-out lime shell and top off with soda water. This Cuban cocktail is famous for its minty freshness. This dangerously strong and tangy cocktail is an absolute favourite among travellers. 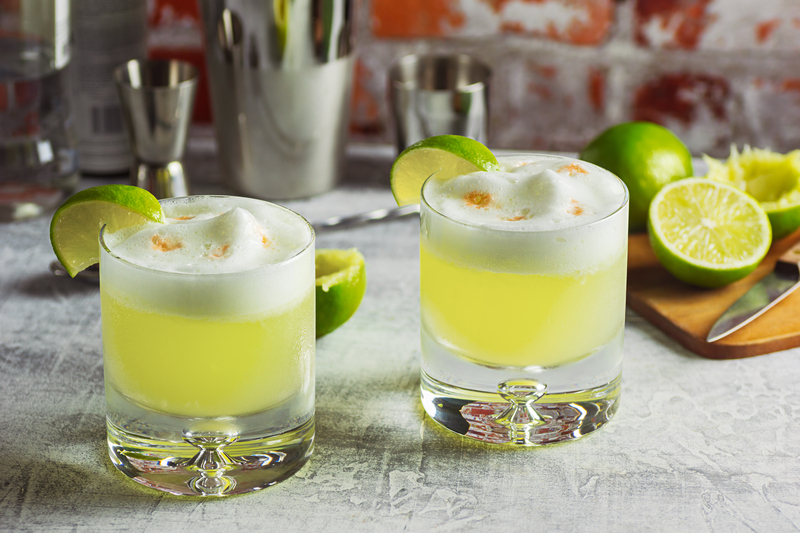 Just like the Piña Colada, the origins of the Pisco sour are a source of much debate. Its origins are to this day contested between the countries of Chile and Peru, despite an international court case confirming the spirit was created by Peru. The Pisco sour can be found all over Peru and is made from the national spirit – you guessed it – Pisco which is made from numerous types of grapes. Pisco is so popular that the country of Peru has two national holidays dedicated to it – Pisco Sour Day (the first Saturday of every February) and Pisco Day (or ‘Dia del Pisco’, the fourth Sunday of every July). The recipe is not like most cocktails (which is one of the many reasons why we love it). It features raw egg whites, lemon juice, syrup and pisco. When they are all combined it creates a slightly frothy, silky texture which is, of course, sour. Unsurprisingly, our literary legend Ernest Hemmingway was renowned for liking this drink as well as Orson Welles – what’s not to love? Place all the liquids into a cocktail shaker and shake until a foam begins to appear on top. Pour into glass and garnish with a slice on lime. Peruvians love their frothy Pisco sours. The origins of this world-famous cocktail have been disputed for many years but the most recognised account claims that the drink, which translates in Spanish as ‘Free Cuba’ and is effectively a rum and coke, was invented in Cuba around 1900 during the American occupation of Cuba. Military personnel regularly mixed rum and coke as a toast to the island and who could blame them with such a simple but effective blend. Place the ice into a glass and pour the rum. Take the lime wedges and squeeze in to the glass before adding. Add the coke until the glass is full and finish by adding a wedge of lime as a garnish. 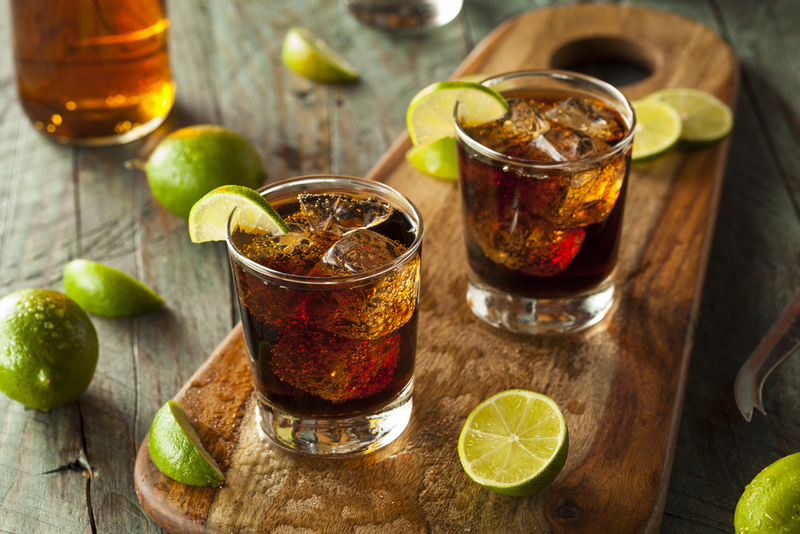 The Cuba Libre adds a limey twist to the rum and coke. The Canelazo is a traditional Ecuadorian cocktail but it is also popular in Colombia. It contains the local spirit Aguardiente (sugar cane alcohol) which, literally translated, means ‘strong water’ and is similar to pastis, sambuca, and anisette. It also contains sugar and cinnamon, and there are many variations containing orange or lemon juice to make it tastier. It’s a fairly unusual cocktail as it is usually served hot (think mulled wine) around Christmas time to stay warm in the Andes. However, we think it’s totally acceptable to drink this anytime during the winter season for a pick-me-up. Add all ingredients to a pot and heat on a low heat for around 10 minutes. Make sure that the liquid doesn’t boil and that the sugar is totally dissolved. Serve in a mug and garnish with a little orange slice. Check off Peru, Argentina and Brazil on this 21 day tour of South America, including stops at Machu Picchu, the Amazon & Iguazu Falls.